Many of the youngsters who attend the North Bay Children’s Center in Novato, California, had never eaten a fresh vegetable before they arrived at the daycare/afterschool program. Now, though, they’re growing, harvesting, and devouring crops they raise themselves, thanks to an innovative program. 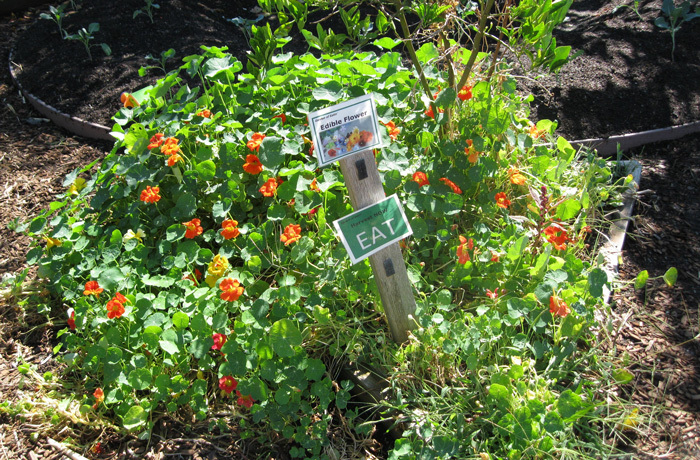 Garden of Eatin’ was launched in 2004 to combat the growing epidemic of childhood obesity. The center, which provides daycare for infants, toddlers, and preschoolers, as well as an afterschool program for school-age kids, serves a large portion of low-income families. Many of the parents relied on packaged, processed foods to feed their families. The center’s solution to turning that around was to start with the kids. Haskell deplores the media onslaught of pitches for food that’s full of salt, sugar, and fat. “It’s insidious,” he says. 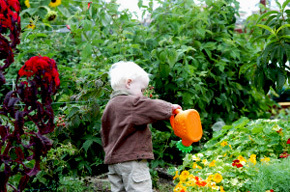 “We want to combat that by exposing children at a young age to wholesome food.” The center’s extensive curriculum, developed over several years, now serves as a model for other school gardens, and staff members provide teacher training in the larger community. The kids’ newfound appreciation for eating fresh is trickling up to mothers and fathers. “Parents tell us time and again that when they go to the grocery store, their kids are asking them to buy produce,” Haskell says. Bonnie is a freelance writer and organic gardener in Marin County, California.